Johan Rimér, creative director @ Visual Art. 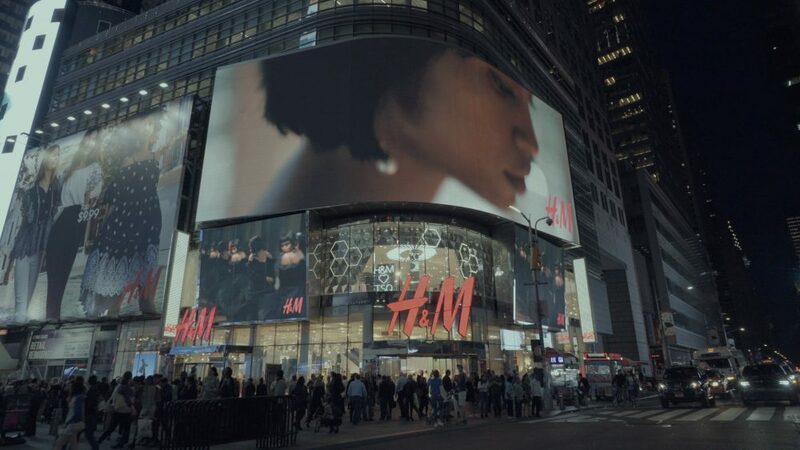 A new tech solution, H&M Voice Interactive Mirror, is now running live in the worlds’ largest H&M Flagship store at Times Square, NYC. 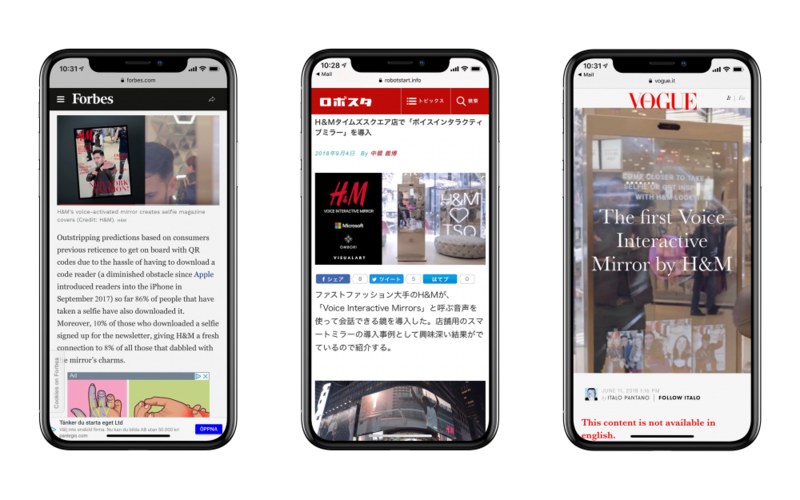 Together with Microsoft, H&M and Ombori, Visual Art has developed a customer experience totally based on voice and face recognition – this technique gives the mirror power to answer to the customers’ demand. It is a one of a kind solution, exclusively found in this particular store. The ”smart mirror” interacts with the customer by voice and Face recognition, and gives him or her an opportunity to take a Cover-selfie, which then is displayed as a unique, digital ”My” H&M cover. One can also experience Fashion Inspiration: Here, the mirror gives outfit suggestions which the customer can choose to buy right away.